The Lambda probe is delivered with an adapter, which must be connected to the cable of the original Lambda probe. Bosch Automotive Parts is a division of Bosch the world famous German company which was founded in 1886. The company make a vast array of items for motorcycles and cars as well as the more well-known household goods and tools. 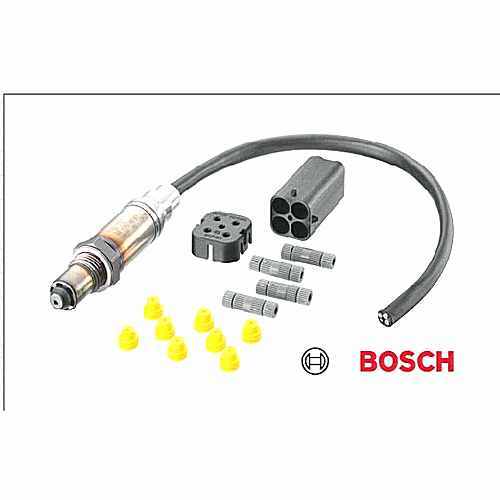 Motorcycle parts made by Bosch include batteries, spark plugs and other electronic parts. Today Bosch is the leading manufacturer of automotive parts worldwide. All Bosch parts sold at Motorcycle Spares UK come with one year manufactures warranty.